There are many pets who are frightened beyond measure when it comes to fireworks that light up the sky in many areas of the country on July 4. 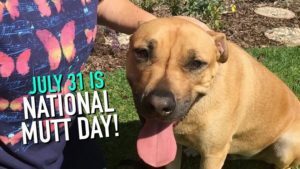 Some pet parents even speak of how neighbors continually set off fireworks and firecrackers and how disturbed and terrified their normally calm pets become. We, humans, may adore fireworks — who doesn’t like literal fire in the sky? — but for our beloved pets the sights, sounds and even the smells of fireworks are terrifying. They are out of the ordinary and are so infrequent that our pets don’t have an opportunity to become accustomed to them and therefore relieve their fear. Enjoy our video and read the safety tips below. For some pets, staying home in a darkened room with the comforting sounds of the television or a radio as background noise may be enough. 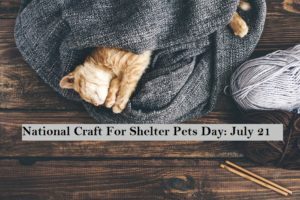 For other pets, they may enjoy being with their pet parents in the midst of all of the excitement, and if that’s the case, make certain your pet is leashed, has tags on his collar with your contact information and is truly enjoying him- or herself. Don’t subject your pet to the crowds and sounds if you’re not sure they will be unmoved by them. For safety sake, though, we urge pet parents to keep their pets safely protected at home. Keep your dogs indoors during the fireworks. Even a calm dog could become frightened and bolt off into the darkness. The ASPCA notes that July 4 is one of the busiest times for found dogs being brought to the shelter. Make certain your dogs and cats are wearing collars with your contact information on them or make sure they are microchipped. Make a “safe space” in your home for your pets. If they are accustomed to being in a crate, put them in there. If your pet has a favorite room that is “escape proof” corral them there. Offer them a special treat or their favorite toy, dim the lights and turn on a television or radio to drown out the outside noises. If you’re having a party at your home to watch the fireworks, make sure your pets are in a room in which they cannot make a break for a door and run off into the night. They should not greet guests at the door nor should they be wandering the house unfettered as they could become frightened and run out before you can grab them. Keep your pets on their usual diet and eating at their usual mealtimes. It is tempting to give your dog or cat a treat from the table when you’re having picnic foods or when guests are asking, “Can Fido have a piece of hot dog?” Gently, but firmly tell your guests that it’s best for Fido and Fluffy to stick to their own food, not human food. If they insist, let them feed your pet one of his or her usual treats or a piece of a veggie like a carrot or cucumber. 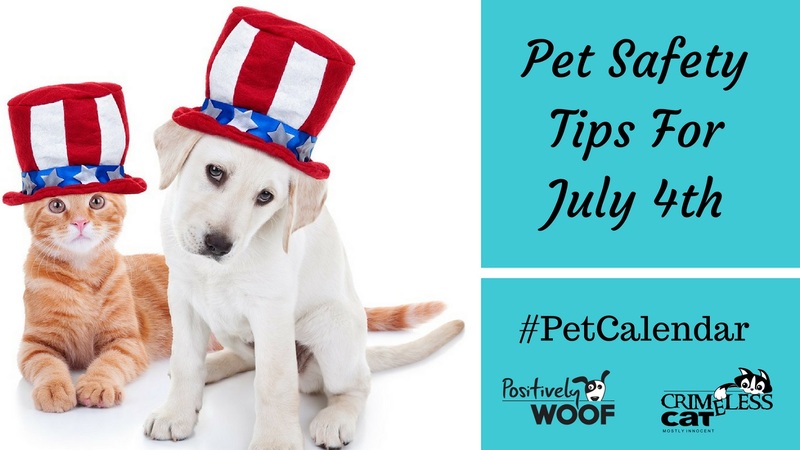 Even after the fireworks displays have ended, your pet may still be stressed and anxious. Keep a careful eye on him or her and don’t let them out without a leash and without their collar and tags with your contact information. 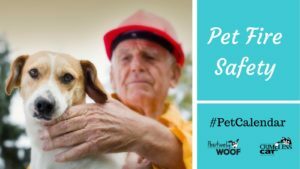 Their high anxiety level may have them acting differently than you’d imagined they would and you don’t want your beloved pet to run off into the dark of the night. Be safe and have a happy and healthy Fourth of July celebration. What do you do to keep your pets happy and safe during summer events and fireworks? 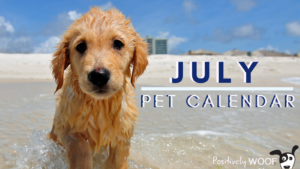 >Don’t forget to read the rest of our July Pet Calendar events. > Check out our full annual Pet Calendar At-A-Glance.